Spiritualist medium, Rev. 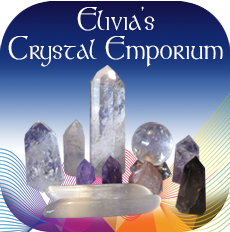 Elivia works with your Guides and Angels to give you detailed, accurate and reliable information. She has the ability to “tune into” a number of areas in the spirit realm as well as that rare ability to communicate with those who have passed on to the other side. You may choose to have a reading that touches on several of these areas or select a specific topic, such as a life reading. 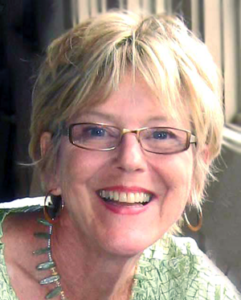 Gifted since childhood, Elivia is a psychic medium with clairvoyant, clairsentient and clairaudient gifts. This means that Spirits communicate to her in words, images and feelings, which she translates and shares with you. What’s the difference between a psychic and a medium? A psychic can draw information from your aura, which can provide knowledge about both current and future events, whereas a medium is the conduit between the physical world and the spirit world – in other words, the connection is made soul to soul. Elivia encourages you to ask questions in return and experience an open channel of conversation with the spirit realm. So it’s best to come with a list of questions that you’d like to have clarity on. As a conscious trance medium, Elivia works with your Spirit guides and angels to channel insights on your life and bring in resolution, more joy and peace of mind. In a reading, loved ones and who have passed over may come through to assist and give a higher perspective, along with your own personal guides and guardian angels. Elivia is able to contact whichever energies on the Spirit realm are most beneficial for the individual client to find peace and understanding. Her Spirit Guides and angels work to assist you by shedding light on issues at hand and clearing past life and past emotional residue so you may move forward with ease. A psychic reading with Elivia can assist us to embrace life fully, heal fear so that we feel more confident taking risks, and welcome ourselves and God back into our hearts. An ordained Spiritualist minister, Reverend Elivia’s spiritual psychic counseling sessions are healing and helpful for body, mind and Spirit. As Spirit has no limitations, it makes no difference whether your reading is in person or over the phone. Communicate with Loved Ones who have crossed over. Connect with your Angels, Teachers and Guides and begin to develop your own intuitive abilities. Discover past life connections to those in your life now. 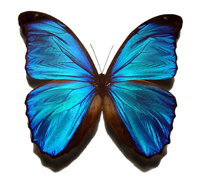 As a Medical Intuitive Elivia can assist you with releasing physical issues. As an Animal Communicator, Elivia can help you to understand your pets. Move through your present issues of personal and business relationships, finances, relocation, empowerment and peace of mind with the assistance of Rev. Elivia’s gifts as a Spiritual medium. Discover what your souls’ path is this life time and help your self to stay on track. Explore opportunities to assist you to move forward with ease and clarity. Get help now. Discover where you are on track and learn what your hidden gifts are. Schedule your Akashic Soul Life reading. Do you have loved one that you would like to contact? Rev. Elivia’s abilities allow connection with those who have passed. Get messages of comfort and serenity or resolve issues and lay them to rest and more. Schedule your Messages from the Other Side reading. Are you just curious or is there an issue at hand that you just can’t understand? Past Life readings with Elivia review where connections, fears and abilities first surfaced for better understanding and resolution. Schedule your Past Life Reading. Do you want to develop a closer relationship with your angels, inter dimensional and galactic guides? This special reading is a wonderful gift to give or use yourself! Schedule your Meet Your Guides & Angels reading. Emotional and Medical intuitive, Rev. Elivia cannot diagnose or prescribe however her accurate readings of your energy centers and messages from Spirit assist you to get on the right track of mental, emotional and physical health. Schedule your Medical Intuitive reading. If you’ve never attended a Message Circle by Rev. Elivia Melodey, you’re in for a treat. As a Medium, she works with your angels, teachers, and Guides to bring you messages to help you to move forward with confidence and ease. The ground rules are that all messages are uplifting and supportive, and never embarrassing. 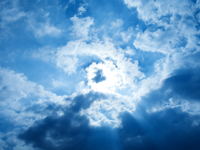 Together with her Guides, Elivia is know to channel Ascended Masters, Spirit Guides such as your Master Teacher, Healer and Guardian Angel, as well as loved ones in Spirit who have crossed over. Questions are always permitted after the initial messages have been given. The “Master of Ceremonies” at most of Elivia’s Messages Circles is her Joy Guide, Barbara Joy. This wise old soul, who appears as a young girl delivers the most heart-felt and profoundly empowering information and teachings in a joyous and often humorous manner. Please Note: Rev. 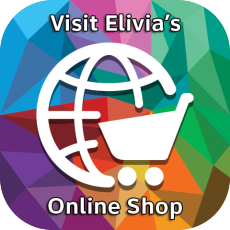 Elivia can travel to the comfort of your own home, for your group, family, or organization. If you would prefer to have Rev. Elivia come to your home for a Group Message circle or Family Gathering a travel fee will apply depending on travel time and distance. Please contact Elivia by email or phone 888-712-3833 for additional information. Message Circles are limited in attendance to 15 people and last approximately 2 – 3 hours. Fee: $45 per person. Circle minimum: 6 people. If you would like to schedule a Message Circle with Rev. Elivia, Call 760 593-4544 or contact Elivia. Past-life regression therapy, (also know as past-life therapy or regression therapy) is based upon the premise that we are eternal beings (souls, if you will,) who carry forward learning and experiences from one human lifetime to another. We unconsciously carry forward experiences, attitudes, and relationship dynamics from prior lives into our current lifetime. Many times this is beneficial, as in cases where we just have a “knack” for numbers, or seem to master a new skill or area of study as if we already knew it. Other times, traumatic experiences — like a violent death or loss of a loved one — are left unresolved. Through a process of deep relaxation using guided meditation, clients are able to access these past lives to discover the core issues to release fears and phobias and to discover where gifts and talents originated. You can also understand the nature behind present day relationships. Healing and releasing the past and all the emotional weight that holds you back can assist you to move forward with freedom, clarity and understanding. Learn why you have strong attractions, patterns, fears and phobias. Give yourself the gift of freeing yourself from ineffective cycles. Regression can also be used to access and develop a more personal relationship with your own higher self, angels and spirit guides should you choose to explore Live between Lives. Certified and experienced as a Board Certified Hypnotherapist, Reverend Elivia leads people to awareness of where past life issues, emotions and individuals impact life now. In Progressions you can access possible futures according to your “Soul’s Blueprint” for this lifetime. Past life regression average 2 1/2 hours and are held in N. County San Diego Your session can be recorded and emailed to you in MP3 format. Schedule your Past Life Regression Session online or call 760 593-4544. Disclaimer: Our futures are not set in stone and are subject to Free Will. How you move forward in your life is always dependant on the decisions you make based on the choices you are offered. All information given is advisory in nature. As a Spiritualist Minister, I can not prescribe for or diagnose any illness. My medical intuitive readings are not intended as a replacement for medical attention. If you are seeking mental health or medical advice, please see a physician. Refund Policy: Refunds on services are subject to a 24 hour cancellation policy. I do not offer refunds on readings, workshops or for missed appointments. Exchanges are available on singing crystal bowls and products. A psychic can draw information from your aura, which can provide knowledge about both current and future events, whereas a medium is the conduit between the physical world and the spirit world – in other words, the connection is made soul to soul. How can I get the most from my reading? Relax. This allows the energy to flow much easier. Don’t “feed the medium. ” Generally all I will ask you is if what I’m saying makes sense. I don’t need any further information from you. Be prepared with a list of questions that you would like to address. Record your session either on your end or through Elivia or take notes. While you may not understand or connect with what you are being told, confirmation often comes later as you review what was said. What’s better? An in-person or telephone reading? It is really a matter of personal preference and logistics when it comes to choosing a phone or in-person session with Elivia. As a Spiritual Medium, basically “her people talk to your people.” It makes no difference to Spirit as they bridge time and space. With a telephone reading, Elivia will tune in prior to your call and begin the session by asking if you’d like to hear what was given to her first. This often covers the most pressing issues at hand. At an in-person session, Elivia will tune in once you arrive. I just wanted to let you know that your Message Circle at Crystal Dove has just opened up amazing doors for me. I shared with you about my fear of developing my gifts because of the unknown. You told me about my guide I can call "Nemo" who protects me. I wanted you to know that I did not have any fear since and have actually gone on to learn channeling myself and things seem to be developing quickly! Elivia a few years ago I contacted you and had a phone reading. You were right on target. I was concerned with a relationship that was ending. You had gotten a vision on my calling to volunteer at a children's hospital concerning a treasure chest. I just want to Thank you for your encouragement at the time. Thank you so much! I haven’t replied yet because I have been stunned I guess by how accurate it all is! So much of it is in process! Thank you so much! Thank you for the reading you gave Steve yesterday. So many things you told him made a lot of sense and sort of put some pieces together for him. It's interesting how his past lives play such a big part in his present life. Not only was some of his curiosity satisfied but also you confirmed some of his suspensions and gave him hope in other areas. It was interesting for me and healing for him. Thank you for helping me to find my Crystal in South America. My friend found it a few days after you gave me the description. She sent me a photo and I dowsed it and sure enough it was the one. I have it now and am very grateful to have it. I wouldn't have known about it if I hadn't of met you. Elivia is a phenomenal medium and a great spiritual counselor I highly recommend her. Always friendly and happy.